John Pegg, B.Sc., Dip.Ed., M.Math., Ph.D., Doctor of Education (Honoris Causa), was appointed to the University of New England (UNE) in 1979 as a Lecturer in Mathematics Education with the task of preparing secondary mathematics teachers as well as lecturing in the Department of Mathematics. In the 1988 Discipline Review of Teacher Education in Mathematics and Science, his program in preparing secondary mathematics teachers as part of a Diploma in Education received the highest rank across Australia. During the nine years prior to his appointment at UNE he was a secondary mathematics teacher and senior secondary physics teacher in Maitland, NSW. During this time he lectured part-time at TAFE, and was the Secretary of the Newcastle Mathematical Association. Also during this time he completed a full research Master’s degree in Applied Mathematics at the University of Newcastle. In 1987 he was awarded a PhD in Education at the University of New England. In 1996, he was made foundation director of the Centre for Cognition Research in Learning and Teaching (CRiLT) at UNE. Based on the Centre’s achievements and many successes CRiLT was awarded a rare Commendation Award for the work of the Centre in the AUQA national university audit in 2003. In 2004 he was awarded the Vice Chancellor’s 2003 University of New England Researcher of the Year Award. In 2001, with colleague Lorraine Graham, the program QuickSmart was created as a second-chance program to support underachieving students, from Years 4 to Year 9, attain fundamental numeracy and literacy skills. This program was first trialled in two rural schools using federal funds from an Innovation Grant. Currently, over 1,200 schools in Australia have accessed the program supporting many tens of thousands of at-risk students each year. In 2001, he was promoted to the rank of Professor. In July 2004, supported by a $5 million Federal Government Establishment grant, CRiLT was restructured and expanded to become the National Centre for Science, ICT and Mathematics Education for Rural and Regional Australia (SiMERR National Research Centre). Professor Pegg was the foundation Director and SiMERR established its base at UNE linked with teams of academics in every State and Territory. His role was to initiate, undertake and oversee research programs and professional learning initiatives in Australia that addressed important educational issues: (i) of specific concern to education in rural and regional Australia, and (ii) of national concern to education across Australia but ensuring rural and regional voices were represented. In 2005, flowing out of the findings of a three-year Australian Research Council grant with colleague Debra Panizzon, the NSW Department of Education created the Essential Secondary Science Assessment (ESSA) program. This was a diagnostic science test to be used by schools with Year 8 students. The test is compulsory for Government schools and optional for others in NSW. Many tens of thousands of students undertake the test each year, and the program still continues. From 2009, the brief of SiMERR was expanded to include taking research programs (such as QuickSmart) to scale, the evaluation of educational projects, and a tighter focus on leading initiatives to enhance teacher quality nationally. In this year, along with four colleagues, he was awarded the Inaugural Vice Chancellor’s Excellence in Team Research Award for his role in co-developing and conducting the programmatic research program linked with QuickSmart. His strengthened evidence-based focus on teacher quality has resulted in numerous research contracts throughout Australia at the Federal, State and Territory, and Jurisdiction levels. In 2010, he was award the William Walker Award for Outstanding Educational Leadership by the Australian Council of Educational Leaders (NSW). In September 2011 he accepted a Ministerial Appointment to the NSW Board of Studies later renamed the Board of Studies, Teaching and Educational Standards (BOSTES). In 2012, the work with QuickSmart commenced with adults in Correctional Centres in the NT with the view of enhancing fundamental workplace numeracy and literacy skills. Over the years many hundreds of prisoners have accessed the program. The ultimate success, however, will be in the evidence that points to reduced recidivism rates for those who have completed the program. By 2012, international recognition of the work on teacher quality, resulted in a large project funded by Australian Government in the Philippines. His work in the Philippines resulted in the awarding of a Doctor of Education (Honoris Causa) by the Philippine Normal University – the National Center for Teacher Education in the Philippines in September 2015. At the same time research work commenced to support the national focus on improving Teacher Quality in Saudi Arabia. In 2013, his interest and research in applying research on the brain to ideas of curriculum development and learning was strengthened through his membership, as a Chief Investigator, in the ARC Science of Learning Research Centre (SLRC), located at the Queensland Brain Institute at the University of Queensland. This has enabled him to establish stronger links between his research and the neuroscience community. In 2015, the Australian Federal Government in collaboration with the Government of the Philippines extended the research program being undertaken by the SiMERR team until June 2019. John Pegg’s work is far ranging, and he is known internationally and nationally for his contribution to theory-based cognition research. His research interests focus on two main areas: (i) the development of learners’ understanding; and (ii) teacher professional growth. He is recognized as a world authority on the SOLO Model of cognitive development. He has been the sole investigator or team leader in seven large Australian Research Council (ARC) Grants. He has been team leader for a number of large-scale national and state-wide research projects as well as large international research activities. His work in this area includes research projects totalling in excess of $40 million. He has presented over 80 Keynote and Major addresses to international and national research forums, and Australian and State educator and research conferences. He has successfully supervised 35 PhDs and numerous research masters and bachelor honours students during his career. His publication list is extensive with five co-authored books, nearly two hundred refereed papers and book chapters, and numerous extensive reports to federal, state and overseas education jurisdictions. In 2013 he was selected as a Chief Investigator in the ARC Science of Learning Research Centre (SLRC), located at the Queensland Brain Institute at the University of Queensland. 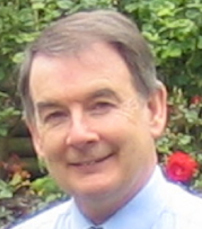 He continues to foster strong links with schools, professional teaching associations, and educational authorities in Australia and overseas, being used as a research consultant in a range of activities, such as improving teaching practices in schools, professional learning for teachers, project evaluation and syllabus development. Selected research and professional learning projects in which John Pegg has been involved have produced the following impacts. The National Validation of Professional Standards project completed in late 2010 resulted in a common empirically validated developmental framework relevant to teachers in each state and territory. All state and territory leaders agreed to this framework in February 2011. Numerous projects for theAustralian Institute for Teaching and School Leadership (AITSL) 2011-2015 including: piloting the Australian Professional Standard for Teachers across the country with States, jurisdictions and schools; trialling the higher-level Career Stages as well as Assessor Preparation in the ACT; developing national assessor training modules; and developing refresher training modules for national assessors. The establishment of the Philippine National Research Centre for Teacher Quality (RCTQ) in 2012 and the completing of the first round of national research projects collecting evidence for Government policy formation and practice. Completion of the validation and finalisation of the Saudi Arabia Professional Standards for Teachers in 2016. John has been the university advisor to NSW State Mathematics Syllabus committees since the mid 1980-1997. He was a member of the three-person writing team that developed the Years 9 and 10 syllabus for NSW implemented in 1997. He was the founding editor of the Australian Senior Mathematics Journal from 1987-1992 published by the Australian Association of Mathematics Teachers. He has been the President of the New England Mathematical Association since 1998. In 1998, he was awarded the inaugural Distinguished Service Award by the Australian Association of Mathematics Teachers. In 2004 he was awarded the Vice Chancellor’s 2003 University of New England Researcher of the Year Award. In 2009, along with four colleagues, he was awarded the Inaugural University of New England Vice Chancellor’s Excellence in Team Research Award for his role in co-developing and conducting the programmatic research program linked with QuickSmart. In 2010, the Australian Council of Educational Leaders (NSW) awarded him the William Walker Award for Outstanding Educational Leadership. In September 2011, he accepted a Ministerial Appointment to the NSW Board of Studies later named renamed the Board of Studies, Teaching and Educational Standards (BOSTES). In September 2015, he was awarded a Doctor of Education (Honoris Causa) by the Philippine Normal University – the National Center for Teacher Education in the Philippines for his contribution to Education research and provision in the Philippines for students, teachers, community stakeholders and teacher educators.